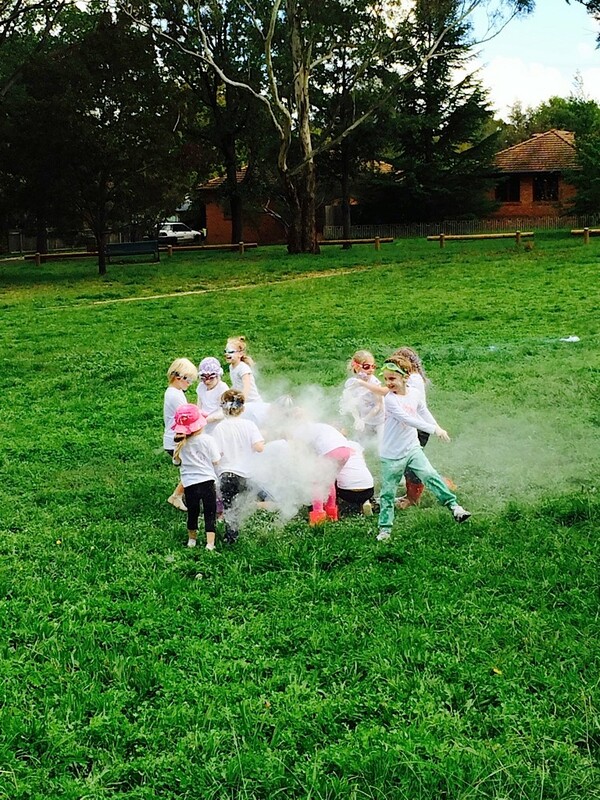 My lovely trainer Dani recently revealed to my husband and I that she had an absolutely cracker of a themed party for her daughter’s birthday party last year – a Colour Run themed party! It gave me such inspiration that I thought I would share this wonderful idea with you all, and give you all some handy hints on doing it yourself! But first, a bit of history. The Colour Run has gained widespread popularity amongst Westerns in the past couple of years as a 5km marathon, but it actually stems from an ancient celebration of Indian culture called The Holi Festival of Colours, which runs in conjunction with Harmony Day. The festival traditionally runs for two days at the approach of the vernal equinox on the full moon and start with a Holika bonfire the night before (Holika is a devil, so during the celebration you “burn the devil”), where people gather and sing and dance. The next morning is a free-for-all of colours with dry powder and coloured water, surrounded with music, laughter and delicious food and drink. The festival signifies the victory of good over evil, the arrival of spring, end of winter and a day to repair ruptured relationships. It’s a wonderful ceremony and celebration, and it’s good natured inspiration makes it a wonderful celebration you can capture and re-live at your next event. Now, being as this is the Colour Run you have to realise that you are going to get messy and you are going to get colourful. Set yourself up in a large outdoor area like a park and start a war. Make yourself heaps of coloured powder to throw at each other and really let loose on your guests. For a bit of added colour, you are also welcome to do what Dani did at her daughter’s birthday party and fill cheap super soaker water guns with non-toxic food dye mixed with water and have a “water gun” fight with the colourful twist. It will get all of your guests involved, having fun, and getting messy. A great idea (and to go along with the marathon spirit) is to give each of your guest their own white t-shirt to ruin on the day. You can set up an obstacle course or a designated run area, but a war or a dance party (complete with “mosh” area and perhaps some big fans) is generally a lot more fun. 1. Stir the corn starch and water into a bowl so that it reaches a consistency that feels like a thick paste and tends to ooze. Put your latex gloves on and then mix in the food dye – putting in the whole lot to get a brighter and more vibrant colour. 2. Pour the mixture onto a baking sheet lined baking tray and set aside in a dry area until the mixture dries out. This could take days ( 1- 2) so go away and do something else. You will know when the mixture is dry because there will be cracks on the surface and will be getting powdery. 3. Heat your over to 150 degrees Celcius and then turn off, leaving it pre-heated. Put your baking tray of mixture into the oven with the door open a crack so that it will continue to dry the powder out, causing it to continue to crack and powder. It should take about half an hour. 4. Next, pour the powder into your food processor and whir until all the clumps are gone, creating the fine colourful powder. Store in a dry, sealed place (like a ziplock bag) until you are ready to use it, and then you can fill stockings with the powder for a fun war effect. 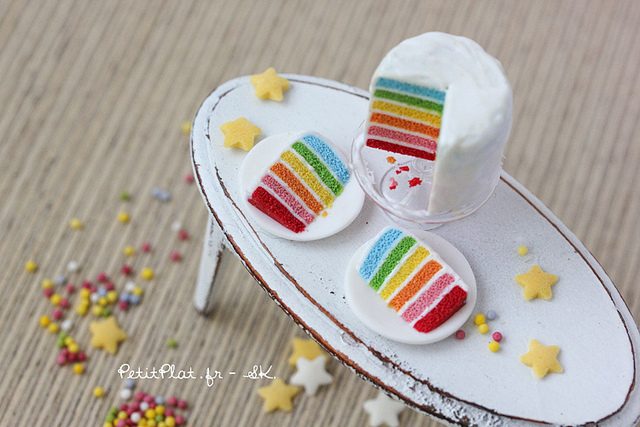 Check out my previous articles about Rainbow Cake in A Jar, A Somewhere Over The Rainbow themed party, and the Confetti Cake made in the 90’s Food Nostalgia post. Babyology made Jelly Oranges With A Rainbow Flair. Anything by Katherine Sabbath or Nectar and Stone will work very nicely! 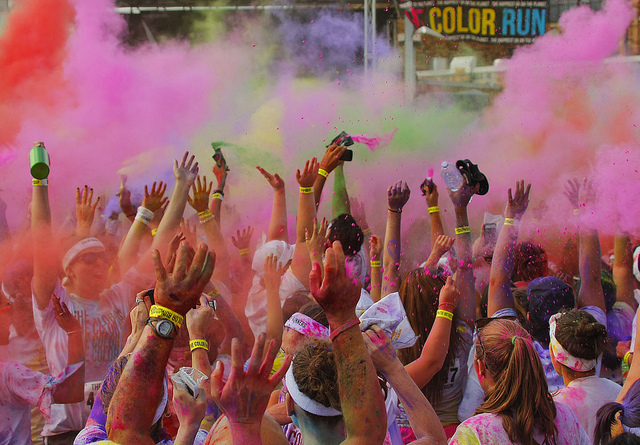 Coloured Fairy Floss or Cotton Candy would perfectly with the “Holi” powder of the Colour Run. Check out Thrill of the Chases for some Colour Run Party Ideas. Kara’s Party Ideas are always worth checking out. And don’t forget that you can always hit up Pinterest for some more amazing colourful decoration and food ideas. Let me know if you host your own Colour Run themed party and what you did to get there! Don’t forget you can also use the actual Colour Run as a jumping off point for “activities” so check out the official website for more details. See you in the coloured powder!